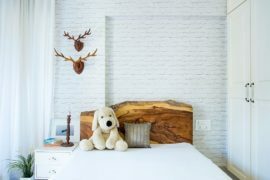 Designing a beautiful kids’ room that finds that perfect balance between what you want and what your child needs can be a tough task at the best of times. A lot of it depends on the space available, the resources you are willing to invest, and of course the specific choices and tastes of the kids at home. 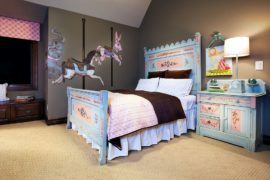 It seems, though, that more and more homeowners these days are opting for kids’ bedrooms that easily grow along with their little ones and do not commit excessively to one glaringly obviously theme. 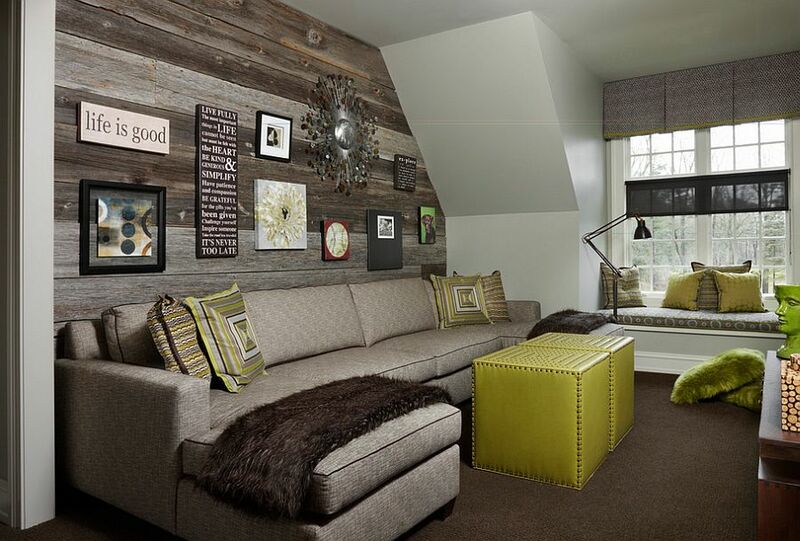 This means a neutral backdrop where accent additions and decor bring in the necessary color. 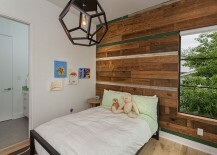 And few additions get this job done, as well as a fabulous accent wall. 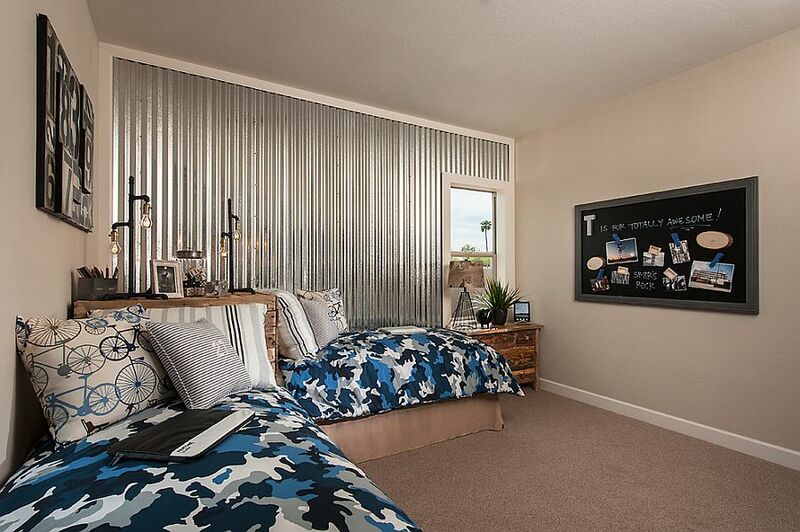 An accent wall in your child’s bedroom definitely requires a different approach when compared to the living room or the adult bedroom. 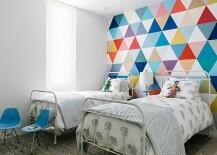 It often demands bolder color choices, fun patterning and plenty of imagination. The 21 captivating inspirations that we have lined up today offer all that and a whole lot more. 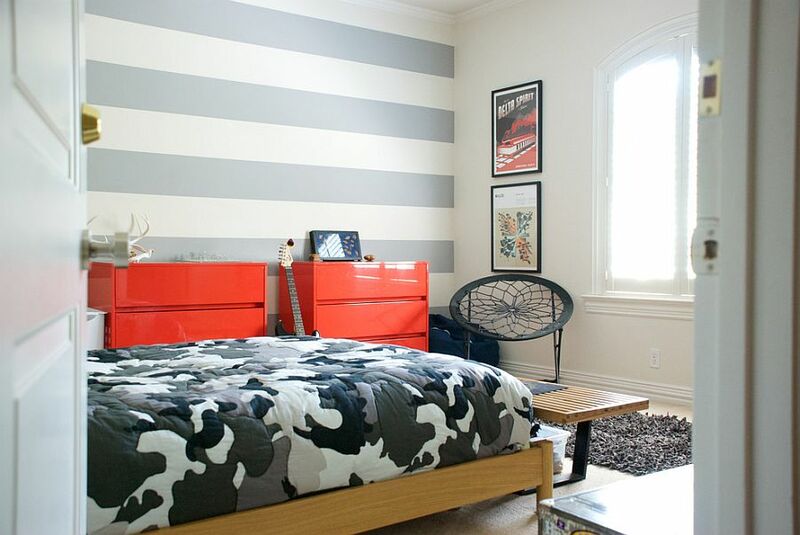 We have been caught in a beautiful vortex of trendy stripes the last few months, and we have already showcased how well they can be used to shape an accent wall in the bedroom, living room and even the dining space. 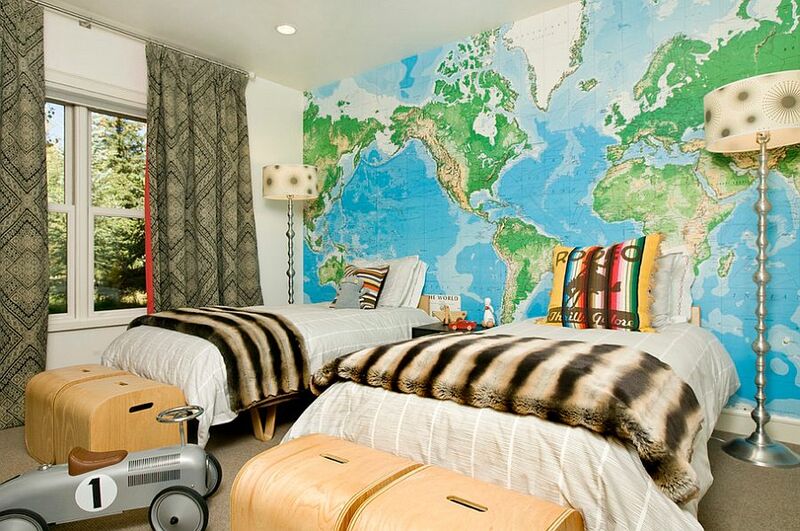 A kids’ room is no exception in this regard. 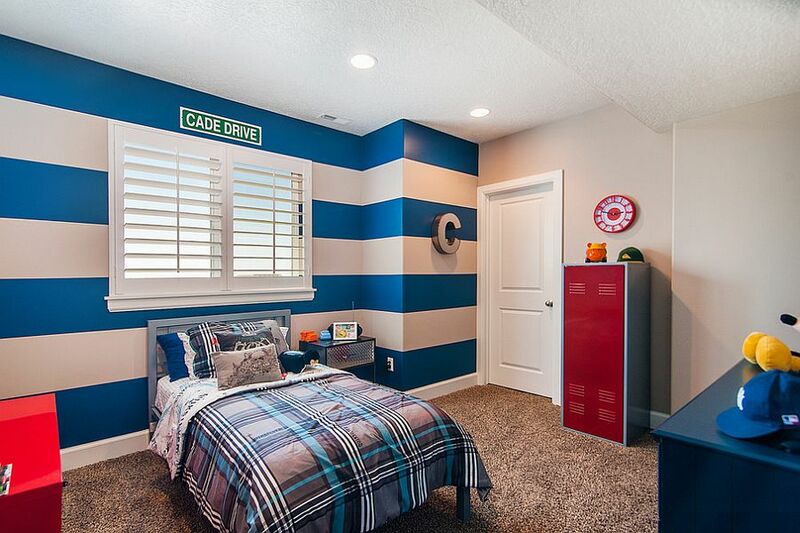 But instead of just gray, cream, beige or white, the striped accent wall in the kids’ bedroom needs invigorating colors that exude playfulness. 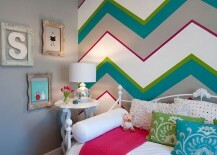 If you feel that plain old stripes (horizontal or vertical) are too boring, add chevron and other zigzag patterns to create more visual interest and whimsical charm. 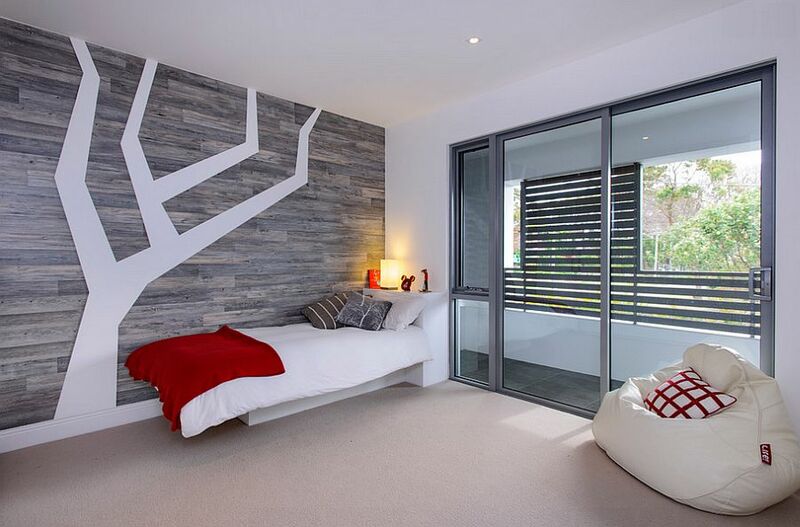 If stripes are fashionable, then wallpaper is currently one of the chart-topping hot trends in the world of interior design! 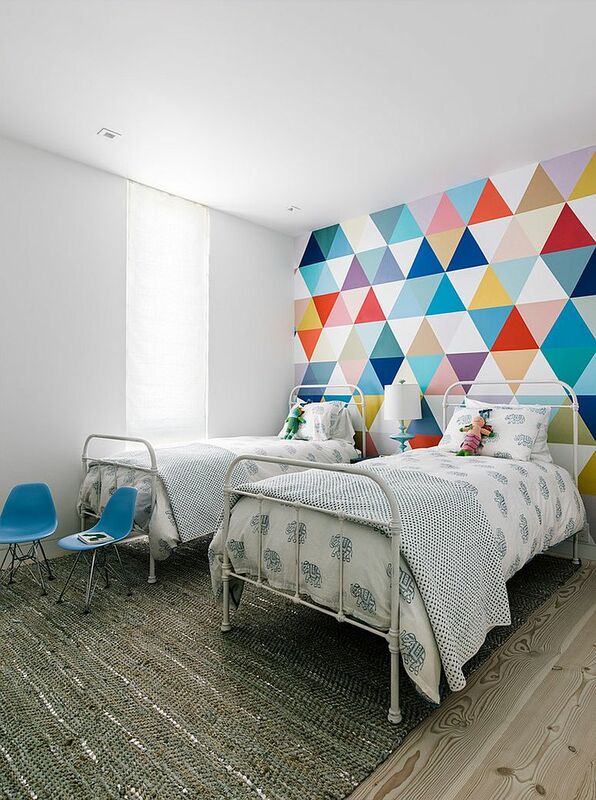 A wallpapered accent wall is a great choice in a child’s room, as it allows you to easily switch between the accent addition over time with little effort and cost. 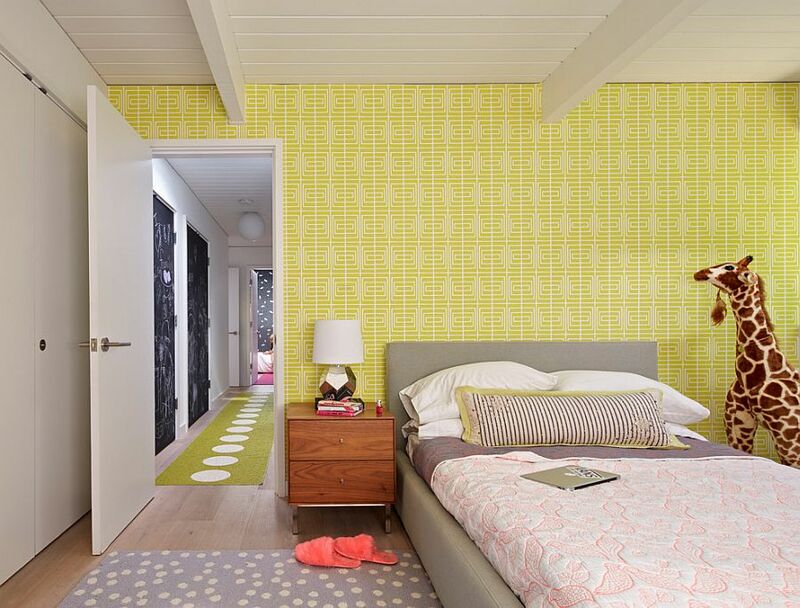 If your kid is bored with a certain pattern after awhile, you can select another fun wallpaper to give the room a fresh new look. 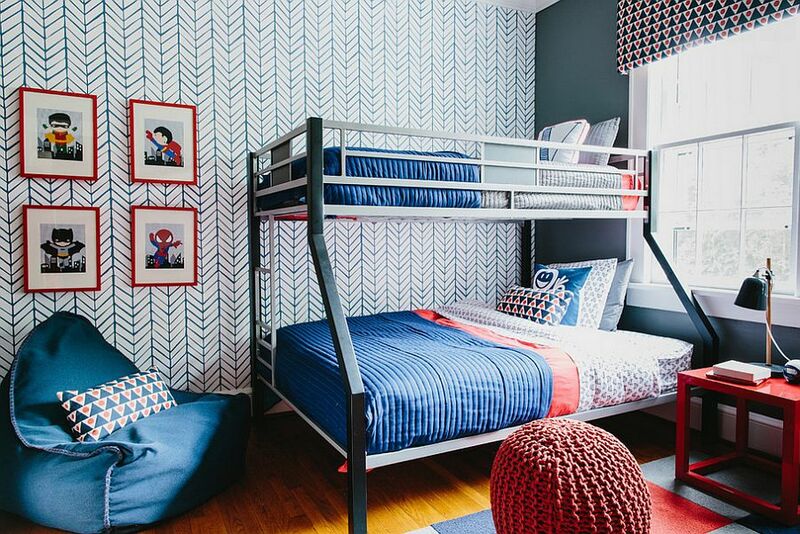 Whether you want wallpaper with loads of color and pattern or something that will work well in a tween bedroom, the choices are simply endless here! 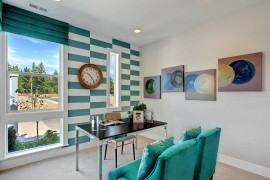 How can we forget the world’s favorite way of adding an accent wall to a room: a splash of paint! This might sound a touch old and a bit too mundane, but there is a reason why the simple painted accent wall is such a popular choice. 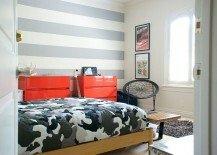 It is easy to pull off, works almost every time, and much like the wallpaper, is not a very extravagant choice. Knowing how fickle kids can be, this is definitely a safe option in the long run. 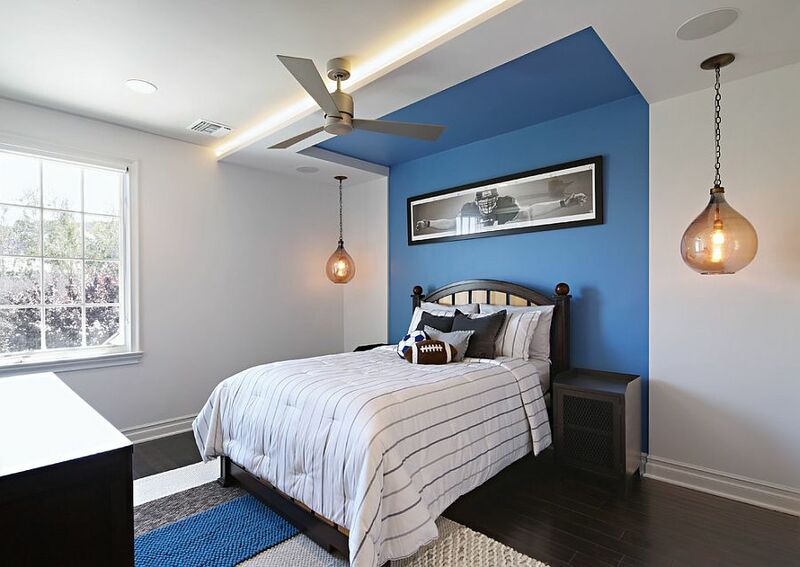 Remember, though, that color used for the accent wall should be repeated in the rest of the room at least once to give the space a more elegant and stylish ambiance. 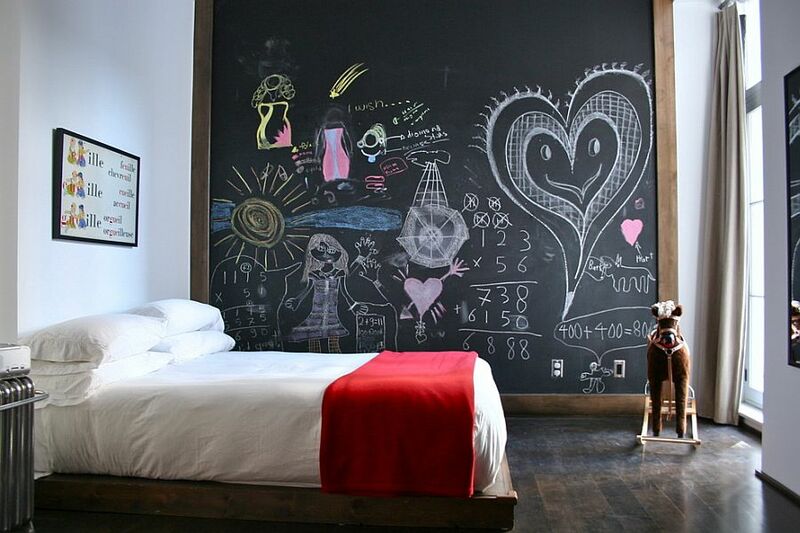 Those bored with just color can also dip into the dynamic world of chalkboard paint! 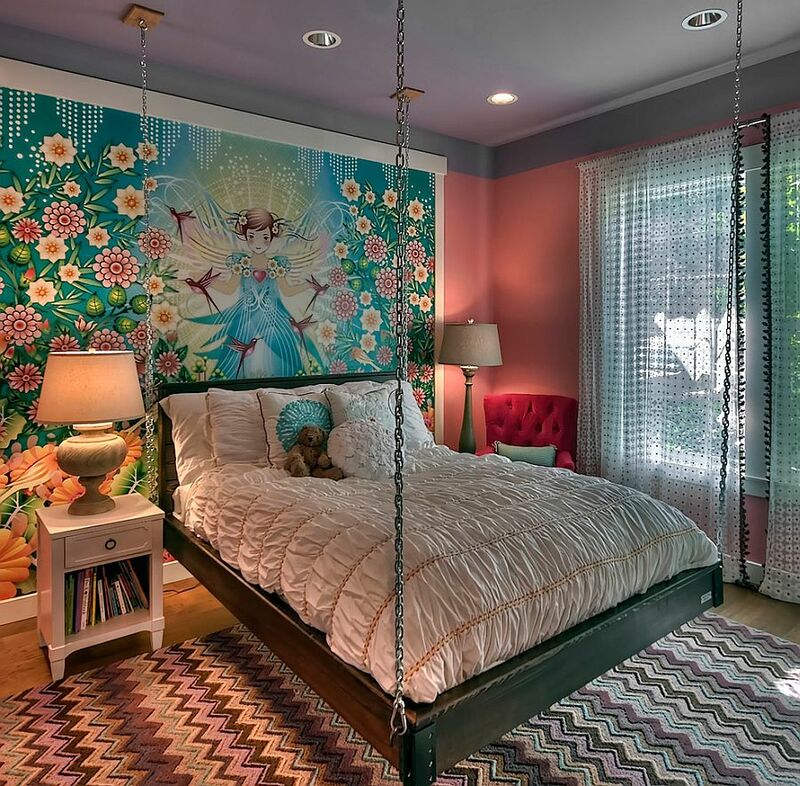 Bored with those colorful accent walls? 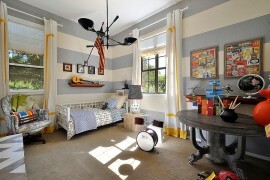 Want something more refined and unique that will allow you to transform that kids’ room into a guest space over time? 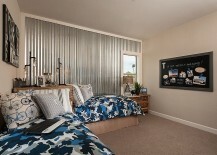 Then how about dropping color and turning towards texture to provide some contrast to the contemporary spaces. 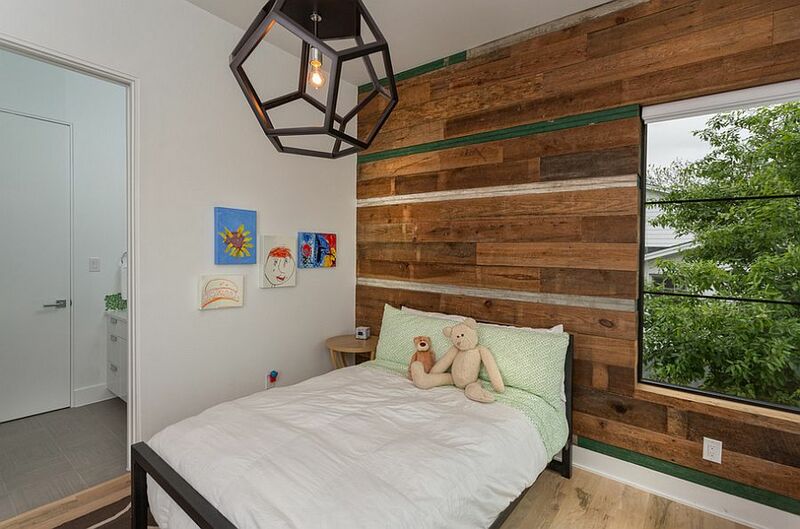 Wooden panel accent walls are quickly becoming very popular with homeowners globally, and if they come from reclaimed wood, then even better! By using this accent addition, you might well be teaching your child a valuable lesson in sustainability that will serve him or her well for life. 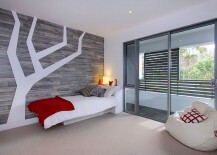 Finally, we have accent walls that embrace dramatic and brilliant wall murals to give the room a stunning focal point. 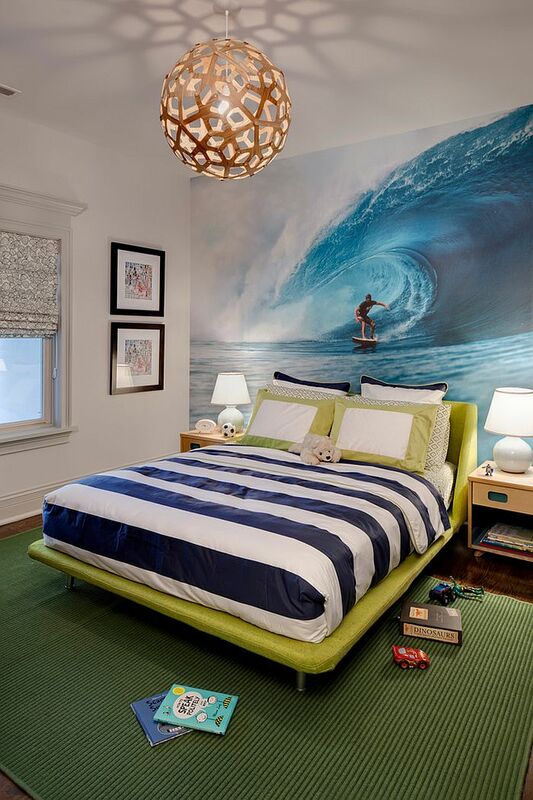 Kids’ bedrooms are perfect spaces for gigantic wall murals, and you can pick one that reflects your children’s taste to shape a captivating and enchanting bedroom that will leave them spellbound. 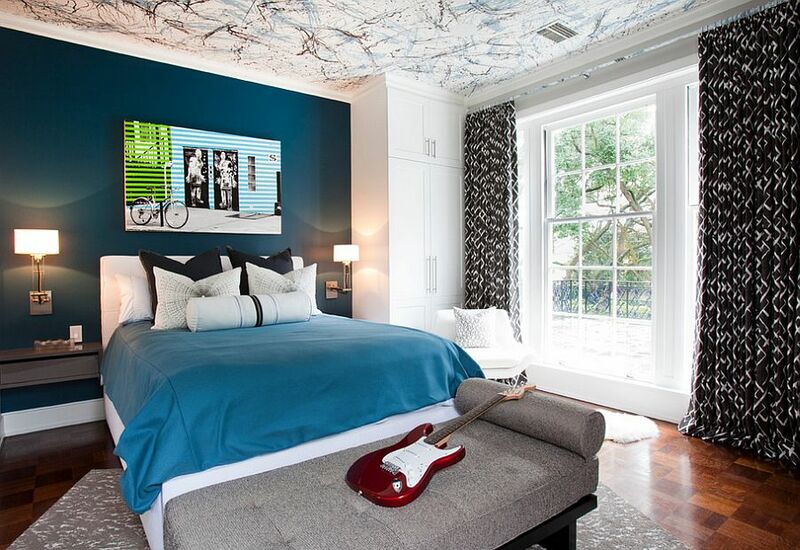 An accent wall filled with a giant mural always looks better when the rest of the room is as organized and neutral as possible. Make sure, though, that the colors of the mural are not too overwhelming, and if you want a more understate look, think of black and white wall murals to get the job done.